Ita��s that time of the year again a�� time to celebrate, as I marvel at how quickly the months have gone by. The experience continues to be amazing, watching from up close, the changing face of Chennai city, and working with the wonderful Indulge team. Old and new as always, continue to find a balance in their own special way. As we round the corner into the festivities, I look forward to non-stop partying, some great events and the arts. So I suppose this week therea��s a bit of a�?where I will bea�� along with the where I was. 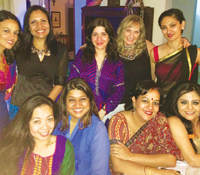 Kick-starting the slew of parties was Trish Jourdey with a Diwali bash for close friends. Our American friend, over the years, has become as much of a citizen of Chennai as the rest of us, and we were reminded of it again. Kollams, diyas, Diwali hampers, the works a�� our hostess went out of her way to make sure we started the season on just the right note. For the art aficionados, the place to be this week was at the launch of Deities in Diamond Dreams, an exhibition by artist Olaf Van Cleef. The scion of the Van Cleef family, who has worked with Cartier for over 30 years, has a special connection with India, that spans two generations. His intricate work depicting gods and goddesses has loyal patrons, and at the interactive evening at the Wild Garden at Amethyst, Van Cleef revealed that he enjoys his double life. The artist found time for friends the next evening, over an elegant South Indian dinner, followed by a three-tier cake, that he got a guest to cut. 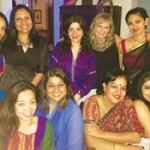 One of the Diwali dos on our check list was at The Park. The attendance is always high at the annual event. This time it was a cocktail evening with a fashion show. In keeping with the theme, people turned up in their festive best, with the collection by Karun Raman also echoing the seasona��s mood. 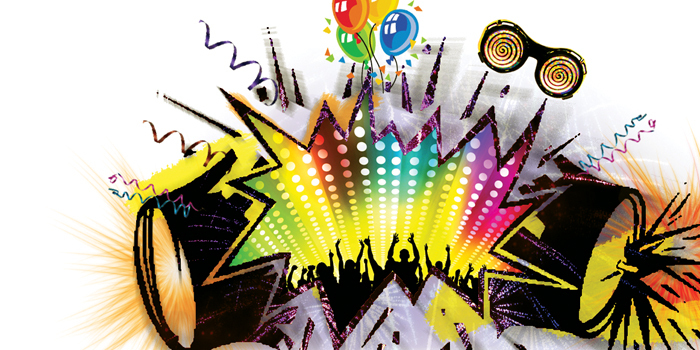 The next couple of parties on the list will hopefully include Lakku and TKa��s annual bash, something wea��ve all come to look forward to, and for the theatre buffs, the critically acclaimed play, Faulty Towers a�� The Dining Experience, featuring the official touring group, who have performed in over 20 countries. After sold out shows at the Sydney Opera House and the Royal Albert Hall, they will grace Taj Coromandel this Saturday and Sunday. Not to be missed!